This is a quick post about a problem I encountered a couple of times and the solution I found. then the RoleTailored Client crashes (dissapears) and when you open your Event Log there’s a big fat, not really understandable, error message. Then the problem might be related to an add-in that is configured on the page, in this case the Role Center page, but the add-in is not registered in the Client Add-in table (2000000069). In my case it was the Microsoft Dynamics Online Connect control add-in that was missing. 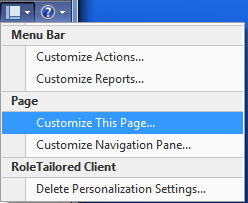 For more information about How to Register a RoleTailored Client Control Add-in have a look here.